S.A.F.E. stands for: Security, Affordability, Flexibility, Experiences. Our guests’ safety, well-being, and comfort are paramount and not up for negotiation! Fair Trade Safaris will not create or curate a tour, trip or travel package for our guests that I (as the founder of Fair Trade Safaris) would not personally go on with my own family – including my wife and young children. We do not add heavy mark-ups to our guests’ pricing. Typically, the price of our travel package will be lower than the price of a similar packages offered elsewhere and without exception, our rates will be more competitive than the price offered by a travel company that provides the quality, standards and experiences that we promise. Fair Trade Safaris will work hardest to accommodate any requirements and preferences that our guests have. If needed, I will personally step in and exhaust every measure available in order to enable our guests to have the most incredible and memorable experiences in Africa – and within the guests’ budgets. Throughout the entire trip Fair Trade Safaris delivers the most personalized service and the highest-quality experiences. Also, Fair Trade Safaris will only recommend to our guests those excursions, destinations, and properties that we have personally visited and experienced…and that meet our stringent criteria and high standards. 1. The betterment of communities. 2. Conservation of wildlife and protection of natural resources in Africa. 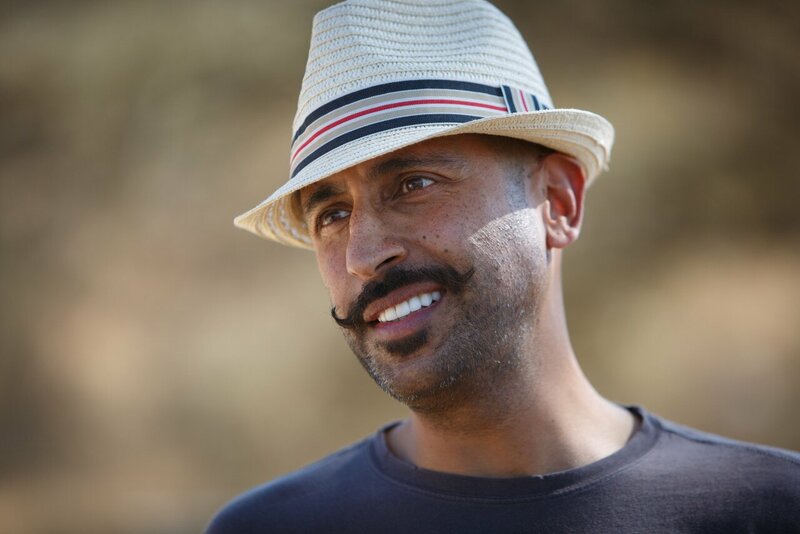 Fair Trade Safaris founder Saurabh Khetrapal – who is originally from East Africa (Tanzania & Kenya) – is a philanthropist at his core. His passion for Africa, conservation and culture motivated him to create the only luxury travel company that donates 100% of its profits to a variety of fully vetted wildlife conservations, community development and social impact projects. Fair Trade Safaris is is a luxury travel company with a keen focus on providing guests with extraordinary experiences at remarkably affordable prices – breathtaking wildlife safaris, stunning beach vacations, exhilarating mountain climbing expeditions, sublime culinary experiences, and relaxing retreats. 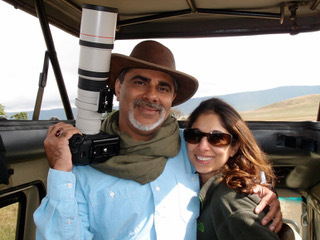 Fair Trade Safaris is the culmination of Saurabh Khetrapal’s life’s work. Raised in East Africa (Tanzania and Kenya,) Saurabh developed a keen appreciation for East African culture and learned to thrive as a multi-cultural individual. After spending his early childhood and adolescence in East Africa, Saurabh moved to the United States in 1990. 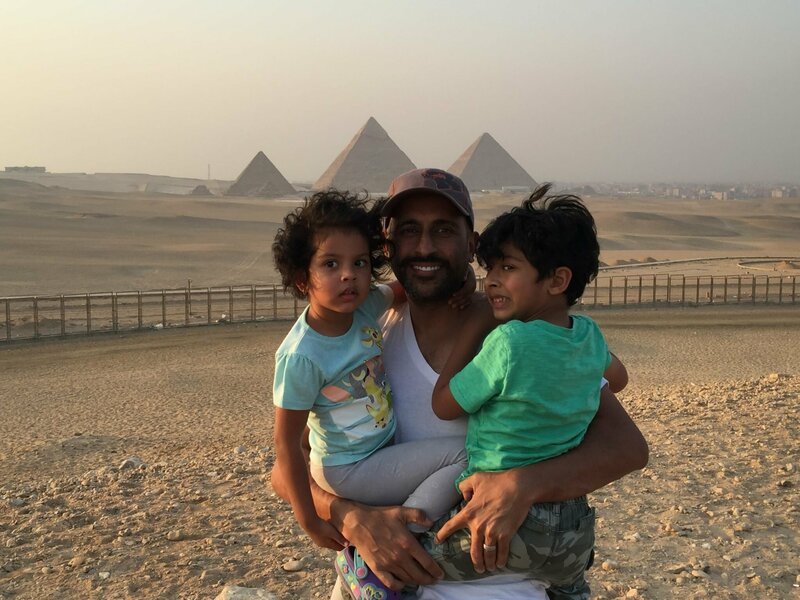 Given his business acumen and driven personality, Saurabh has become a highly successful serial entrepreneur and angel investor in Silicon Valley, as well as a prolific philanthropist and traveler across the African continent. Creating Memories - Big & Small. 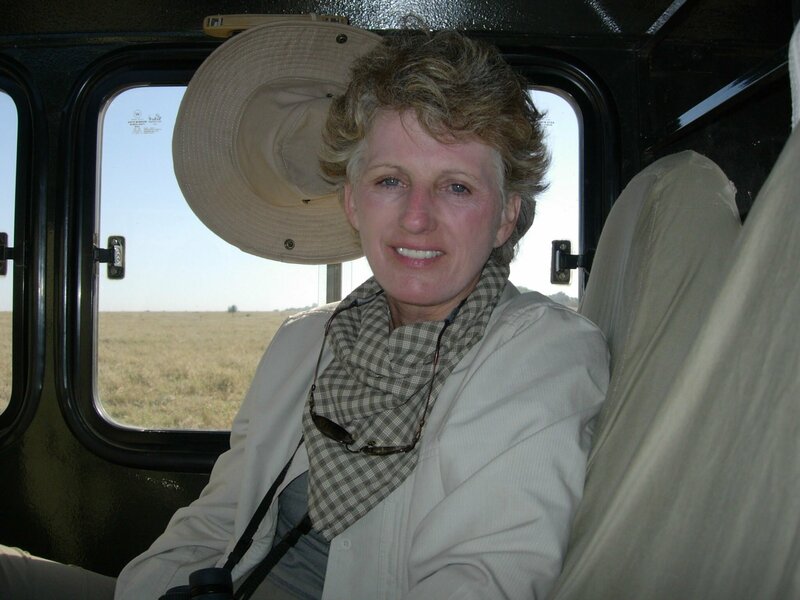 Carol Snell is a partner, ambassador and spokesperson for Fair Trade Safaris’ innovative luxury travel model – one that combines authentic African experiences with philanthropy. There isn’t a more apt title for Carol than “Chief Memory Maker”. Ayaan (7 years old) and Zoya (4 years old) - collectively known as the “Bushbabies” - have been going to Africa on Safaris, beach holidays, as well as cultural & philanthropic excursions since they were 2 years old. Like their Papa (Saurabh) the Bushbabies love all types of animals; but Ayaan’s favorite sightings while on safari game drives are mongoose and leopard. Zoya goes nuts whenever she sees zebras and giraffes; and given the ubiquity of these two species, it is not uncommon for her to be wide-eyed and animated on every single safari game drive! In terms of philanthropy and social impact, both Bushbabies are particularly passionate about the health, well-being, and education of young children in Africa and all over the world. They frequently accompany their Papa during his participation in wildlife conservation projects as well as community development initiatives. Ali can be described as an entrepreneur, business and community leader, CEO, traveler, adventurer, humanitarian, photographer and photo-philanthropist. He has an energy and love for life and is passionate in his career, family life and his love for photography and traveling. In 1990, Ali founded Encotech Engineering Consultants. Parallel to his dedication to leading a successful engineering firm, he documents his experiences and interests through photography during his travels. Ali is Fair Trade Safaris “Chief Photo-Philanthropy Officer”. Nahid, his wife, is the President of Accurate CAD & Technical Services. In addition to running a successful business, Nahid is engaged with numerous non-profit organizations in the Greater Austin community, holding a variety of board positions. Nahid has a big heart and loves to serve others. She will welcome you with a big smile and is always willing to help in any way she can. Gabi is truly a global citizen. 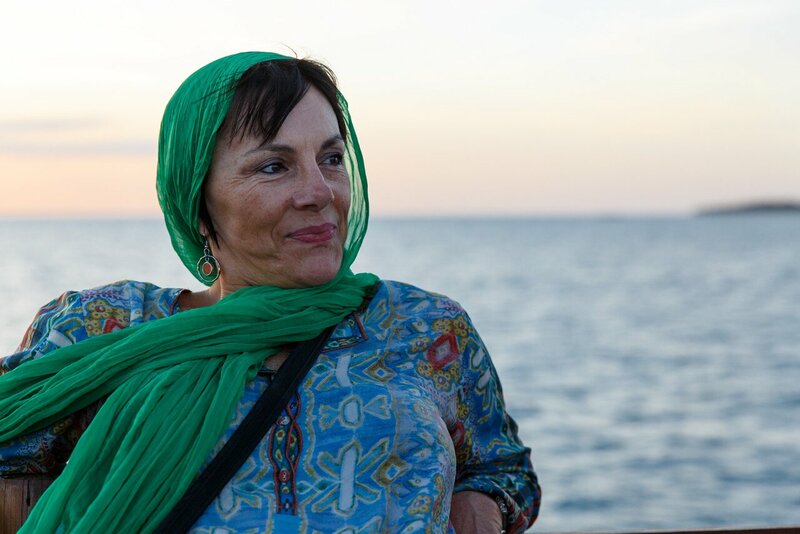 She was born and raised in Germany, she become an American citizen after 35 years of living in the US, and she now spends at least 50% of her time in Tanzania! Whether it be in the closest and most familiar places or to the most remote foreign lands, Gabi’s travels have allowed her to witness and record amazing grace and beauty…as well as some hardships. Throughout her journeys, she attempts to discover new ideas, experience unique cultures, challenge preconceptions, and continue to learn from diverse beliefs and opinions. Courtney is a passionate and driven individual who strives to live her life through impactful experiences. Her heart is in the work of sustainable development, aiming to create a positive impact on today's environment both large and small. Courtney currently works for Curb, an advanced stage startup in Austin, Texas focused on energy efficiency. 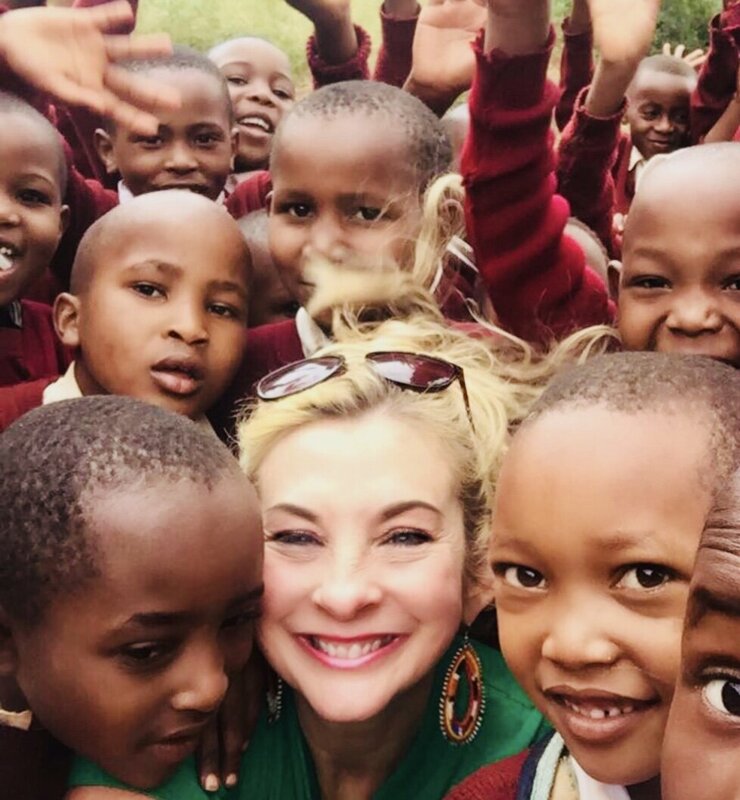 Traveling to South Africa in 2017 left a big imprint on Courtney's heart, and she is excited to help Fair Trade Safari in bringing this experience to others. Jill is motivated by a desire to create and share life’s greatest moments and experiences with others. Although she pours passion and enthusiasm into many endeavors, her first love is travel . She loves to create magical trips in which the memories will last a lifetime. Jill is an adventure seeker, dedicated to her family, and has a personal philosophy that “laughter” is life’s greatest elixer. She has worked in the hospitality and tourism field as an educator for 30 years. She led tour groups for the past 15 years and traveled to over 25 countries. Jill developed the first hands on training program 0f kind to prepare students for a career in the hospitality industry in the state of Texas. She took interns to live and work in Dublin, Ireland at the Westin and Mespil Hotels. She anxiously awaits the opportunity to plan the trip of your dreams. Born and raised in Cape Town, South Africa, Natasha has a true passion for Africa and its people and returns to the continent on a regular basis. Before joining the Fair Trade Safaris team her interest in languages and cultures led to career opportunities in Germany, France, and the U.S, where she focuses her professional time working on Marketing initiatives for socially conscious clients. Her personal time is all about travel, music, food and photography. Like many in the FTS team, Natasha has extensive photography experience, with degrees in Photographic Technology and Communication. Whether at home or on a trip, she is never without her camera. Fair Trade Safaris’ travel experts and consultants are based in both the U.S. as well as in Africa. We possess deep and personal knowledge of all facets of wildlife photography safaris, cultural excursions, adventure travel, family holidays, and couples / honeymoon trips at price points ranging from the Affordable Class Luxury to the Opulent Ultra Luxury. This was the most amazing vacation we have ever had! This was the most amazing vacation we have ever had! Fair Trade Safaris took such good care of us. From picking us up at the airport, on the safari's and then back to the airport. We travelled from Nairobi, down thru the Masai Mara, to Tanzania and the Serengeti, then back up to Mount Kilimanjaro, then back to Nairobi. Not one hiccup, not one complaint for the entire 2 weeks. Each transitions was seamless. Our drivers took care of it all! And the best part was the profits from our trip went back into Africa! I can't thank Saurabh enough for all his help in making this a trip of a lifetime! Fair Trade Safaris took such good care of us. From picking us up at the airport, on the safari's and then back to the airport. We travelled from Nairobi, down thru the Masai Mara, to Tanzania and the Serengeti, then back up to Mount Kilimanjaro, then back to Nairobi. Not one hiccup, not one complaint for the entire 2 weeks. Each transitions was seamless. Our drivers took care of it all! And the best part was the profits from our trip went back into Africa! I can't thank Saurabh enough for all his help in making this a trip of a lifetime! I found Fair Trade through Club Corp and at the time was just thinking about planning a trip to Africa (the Motherland). So coincidentally, I happened to be reading a Club Corp magazine where this company was featured, so I reached out. I must say Saurabh and his team did a fantastic job! Made good recommendations and suggestions that I hadn't even thought of or would know to ask. If you like professionalism and if needed exclusivity this company is the way to go! The trip, the planning and attention to details was impressive! They even remembered it was my wife's birthday without me ever having to mention or remind our local dinner and lodging folks! Great Job! Plan to use them again! I must say Saurabh and his team did a fantastic job! Made good recommendations and suggestions that I hadn't even thought of or would know to ask. If you like professionalism and if needed exclusivity this company is the way to go! The trip, the planning and attention to details was impressive! They even remembered it was my wife's birthday without me ever having to mention or remind our local dinner and lodging folks! Saurabh did a wonderful job planning our trip to South Africa. He took care of everything that we needed from the moment we landed in Johannesburg. All of our in-Africa flights, airport transfers, tour guides, the Safari! and hotels... everything was top notch. I look forward to returning to Africa. This time to explore other countries... I'm hooked! Fair Trade Safaris is the best experience I have ever had traveling. Fair Trade Safaris is the best experience I have ever had traveling. Everything was handled down to the smallest details. I was traveling with my grandson and a little apprehensive since it was his first time out of the country. What a FABULOUS experience we had! Everything went so smoothly and exceeded our expectations. Anyone who wishes to travel to South Africa would be well taken care of by Fair Trade Safaris! In a review it is hard to convey what a first class organization they are and how much they care about you and your family. Thank you Rob from the very bottom of my heart! Everything was handled down to the smallest details. I was traveling with my grandson and a little apprehensive since it was his first time out of the country. What a FABULOUS experience we had! Everything went so smoothly and exceeded our expectations. Anyone who wishes to travel to South Africa would be well taken care of by Fair Trade Safaris! I just want to thank Saurabh and Fair Trades Safaris for putting together such a great trip. I just want to thank Saurabh and Fair Trades Safaris for putting together such a great trip. Everything went off without a miss from people meeting us as we got off the planes, taking us through customs, baggage collection to transportation to our destinations. Everyone was so nice where ever we went and all of the sites that Saurabh recommended were first class from Rovos Rail to Cape Town, Ngala Safari Lodge, Zambezi Queen and the Victoria Falls Hotel. Thanks again Saurabh for all your hard work and planning our trip of a lifetime. Everything went off without a miss from people meeting us as we got off the planes, taking us through customs, baggage collection to transportation to our destinations. Everyone was so nice where ever we went and all of the sites that Saurabh recommended were first class from Rovos Rail to Cape Town, Ngala Safari Lodge, Zambezi Queen and the Victoria Falls Hotel. Thanks again Saurabh for all your hard work and planning our trip of a lifetime. This was my first experience with Fair Trade Safaris and I am pleased to say that from beginning to end it has exceeded my expectations! This was my first experience with Fair Trade Safaris and I am pleased to say that from beginning to end it has exceeded my expectations! Saurabh guided us through the planning and every aspect of the trip was first class. I can honestly say that this was the best vacation of my life! Enjoyed Rovos Rail, Ngala Safari lodge, Zambezi Queen and Victoria Falls Hotel and all the experiences in between immensely! I whole heartedly would recommend Fair Trade Safaris to anyone planning a trip to Africa. Great Job Saurabh! Saurabh guided us through the planning and every aspect of the trip was first class. I can honestly say that this was the best vacation of my life! Enjoyed Rovos Rail, Ngala Safari lodge, Zambezi Queen and Victoria Falls Hotel and all the experiences in between immensely! I whole heartedly would recommend Fair Trade Safaris to anyone planning a trip to Africa. Great Job Saurabh! The founders/owners of Fair Trade Safaris have over 35 years of experience in photographic safaris, cultural trips, and philanthropy & wildlife conservation-based activities in Africa. We would love to use our experience and knowledge to plan your African adventure!